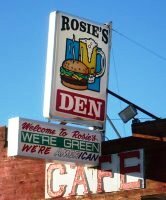 Rosie’s Den, a diner/roadhouse along Route 93 in Willow Beach, Arizona. 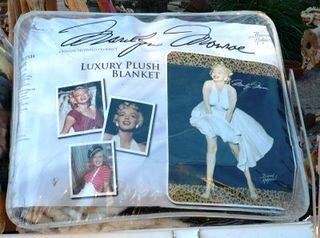 We stopped long enough to grab a coffee and peruse the authentic souvenirs from the Old West, like this Marilyn Monroe luxury plush blanket. Back on the road, Scott said we’d be taking a scenic shortcut through private property, thanks to an arrangement the tour company had with the land owners. The diversion would shave 15 miles off the trip, he said, and again, we could stop for pictures on the way back. 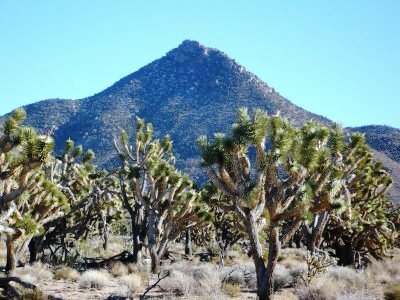 As we drove along a bumpy dirt road through a beautiful Joshua tree forest, Scott told us about the wildlife we might see and pointed out many different types of plants. I don’t remember their names, but after asking our Canadian companions how many people actually live in the city of Alberta, one thing I won't forget is that Alberta is a province, not a city. Scott fired up the theme from Bonanza on the Hummer’s stereo system, and as we rode along I realized two things: 1) I wouldn’t have experienced this cool shortcut if I hadn’t been on a tour, and 2) I should have opted for a small coffee at Rosie’s, instead of a large coffee, since that bumpy road had started to tease my bladder. Once through our shortcut, we were about 21 miles from the west rim of the Grand Canyon, and had another 14 miles to go on a grated dirt road.